When thinking about sun exposure, you might envision yourself on the beach or exercising outdoors. But millions of Americans receive a large portion of their sun exposure when they don’t even realize it — in their cars. For years, dermatologists have observed that patients in the US often have more sun damage (which can lead to wrinkles, leathering, sagging, brown “age” spots and even skin cancers) on the left side of their faces than on the right. Why? Research increasingly points to ultraviolet A (UVA) radiation penetrating through car windows. UV radiation from the sun, associated with about 90 percent of all skin cancers, reaches the earth as long- wavelength UVA and shortwave UV B rays. 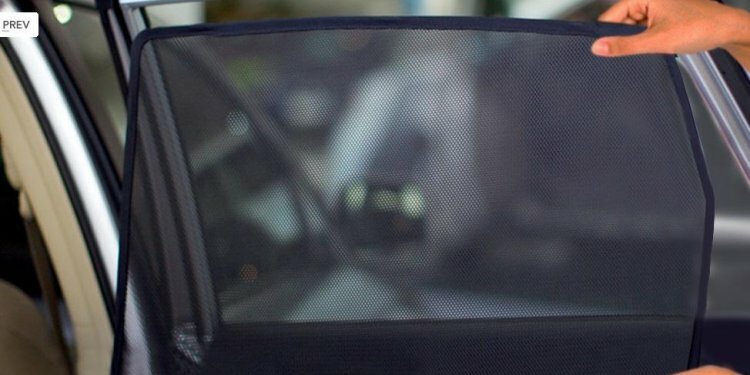 glass effectively blocks UVB, and windshields are specially treated to block UVA as well, but a car’s side and rear windows allow UVA to penetrate. UV exposure is cumulative, and research has proven that skin exposed to sun shining through window glass, even in the office, can over time lead to significant skin damage.1, 2 The UV exposure we receive driving a car especially adds up. In a US study by Singer, et al, the researchers found asymmetric photodamage (sun- induced skin damage) on the face, with more brown pigment (color) and deeper wrinkles on the left.3 The more time subjects spent driving a vehicle, the more severe their photodamage on the left side. Reinforcing this research, in countries where the driver’s side is the right side, people tend to develop more sun damage and skin precancers on the right.4 Certain precancers can turn into squamous cell carcinoma, the second most common form of skin cancer. In the US, the left side of the head, neck, arm and hand receive up to six times the dose of UV radiation as the right side in those sitting on the left side of the car.9 Convertibles and sun-roofs allow even more UV exposure, so extra attention to sun protection must be paid if this type of car is driven. There are several ways to protect yourself in a car. The first is to apply a broad-spectrum sunscreen with an SPF (sun protection factor) of 15 or higher to your face, arms, neck and hands, about half an hour before you go driving. [The Skin Cancer Foundation recommends using about an ounce over the entire body, including a teaspoonful on the face.] Because UVA passes through the window glass, make sure your sunscreen contains some combination of UVA-shielding ingredients such as zinc oxide, titanium dioxide, stabilized avobenzone, and ecamsule (MexorylTM). Be sure to reapply after two hours, or after sweating heavily. Protective clothing, such as long-sleeved shirts, long pants, UV-blocking sunglasses, and hats with a brim of at least 3 inches all around also help shield against the sun’s radiation. Hats are particularly important for men who have thinning hair and are at risk for developing skin cancer on top of their heads.